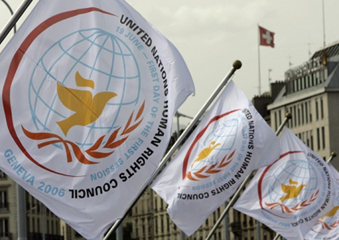 The serious violations of human rights committed by the Polisario militia against the civil populations in Tindouf camps were put on the negotiations table, before the UN Human rights Council. Many NGOs have pointed out this issue on the occasion of the 16th session of the CDH, taking place at the Nations Palace in Geneva. The CDH was invited by the international committee for the respect and application of the African Charter for human and peoples’ rights (CIRAC) to intervene so as to put an end to the systematic violations of political and civil rights of the population sequestrated in Tindouf, in the South-West of Algeria. « Our NGO is concerned about the systematic violations in Tindouf camps and requests earnestly the Human rights council to intervene so that it would put an end to these violations”, has indicated Fernando Carmelo Gadea, CIRAC representative. The population retained against its will in these camps, managed by the Polisario Front, asks for the urgent intervention of the international community to lift the blockade imposed on it so that it can practice its more elementary rights, has indicated Gadea. The CIRAC has also attracted the attention of the CDH about the using by the Polisario mercenaries of the purely social claims for geopolitical and separatist aims, such as was the case during the Gdem Izik events. For this NGO, the situation remains dreadful in Tindouf camps where the population is taken hostage. On his side, an international representative of the international action for peace and development in the region of Grands Lacs (AIPD), has intervened on Monday in an open session, to denounce the serious human rights violations in zones under Polisario control in the Algerian territory. Hamdi Cherifi has particularly denounced, in the name of the AIPD, the arbitrary arrests and detentions, murders, violence and sexual abuses against women and children in the conflict zone. He has mentioned one of the most worrying cases, that of the Sahrawi populations living in the camps entirely locked in by the Polisario militia. He has also talked about the AIPD concern as regard to the denying of legitimate rights to the Sahrawi populations, and called to raise the siege imposed on them so that they can find their dignity and freedom of expression and movement.